Hopin' to get an extra 10 minutes wettin a line, then chargin in. That is one badass looking rig you got there. I dont fish yet, but that set up of yours looks very nice. I have a Tarpon 140.....and a beginner! That looks like the one I demo'd and shortly after that bought one for myself. 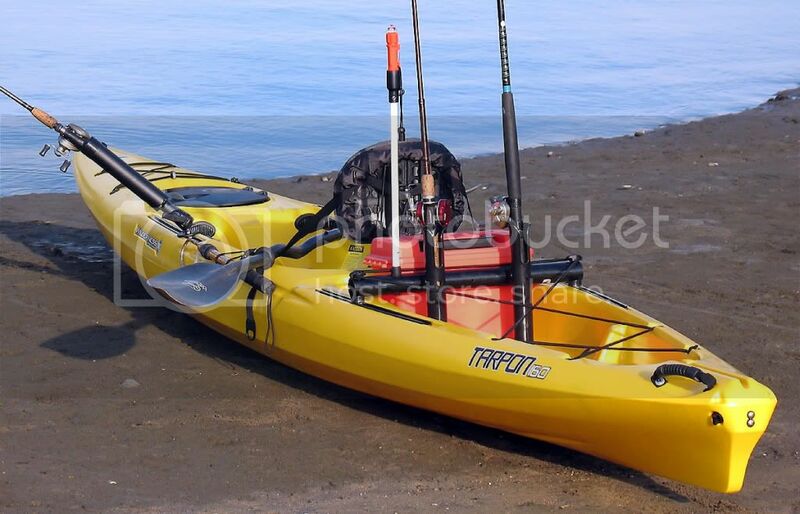 A nice kayak for sure.